Each year government recognises the partnerships with all sectors involved in developing sustainable and integrated human settlements. 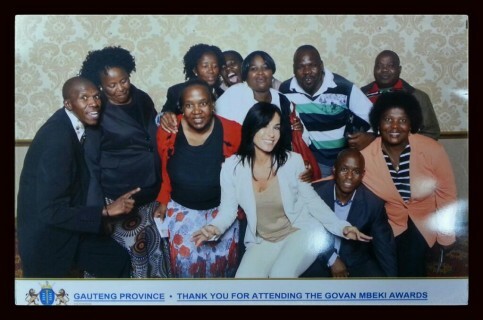 The Govan Mbeki Human Settlements awards are a prestigious ceremonies hosted by the National Department of Human Settlements in two stages: the Provincial and the National. The award ceremony aims to showcase and demonstrate the partnerships with the department at both tiers and promotes best practices in meeting the delivery mandate of the Presidency’s Outcome 8, which is aligned with the vision of building sustainable human settlements and meeting the Millennium Development Goals. The MEC of Human Settlements at the Provincial tier nominates projects in the five specified categories which displays exceptional quality, promotes best practice, brings together stakeholders, and most importantly, improving the quality of life for the beneficiary-partners. Prior to the ceremony of the Govan Mbeki Awards, there is a preceding quality monitoring process of projects submitted by entrants throughout Gauteng. The awards ceremony, to be held on Thursday, signals the end of the Gauteng Leg of the process. The awards are named after the liberation stalwart Govan Mbeki whose life work and struggle envisioned landlessness and homelessness as some of the inhumane legacies of the apartheid system. The ceremony will celebrate those contractors in Gauteng whose work and delivery is symbolic of the quality and dignity of human settlements that Govan Mbeki strove for. The Federation of the Urban and Rural Poor (FEDUP) has been transforming housing policy from the bottom up for the past two decades. Premised on the notions of social and political change, savings groups linked to the Federation has built more than 12,000 since 1994, and continue to set a precedent in woman’s empowerment through self-build and collaboration with government. FEDUP’s work has been recognised at the highest levels of government, and has been showcases to international audiences such as UN Habitat, Cities Alliance, World Bank and other multilateral organisations. 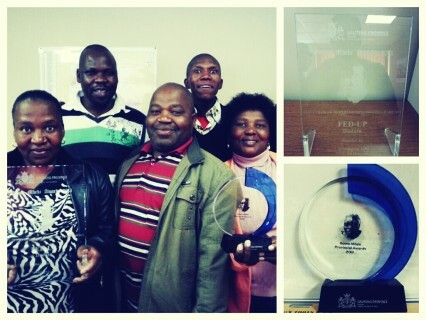 On the 11th of April, FEDUP was nominated in the Gauteng Provincial Govan Mbeki awards. This event, hosted at the Emperors Palace, Kempton Park in Johannesburg and chaired by the MEC for Local Government and Housing, Ms Ntombi Mekgwe, FEDUP was awarded the award for the Duduza project. uTshani Fund acts as Account Administrator to FEDUP, and provides technical support to the Community Construction Management Team (CCMT). The contract signed with the Province allocated 150 stands in Duduza, of which 134 houses have been completed. In this year alone, 93 houses were built. On average, FEDUP builds houses with the same subsidy quantum but the differences are vast! Houses are larger than 50m2 in size compared to government build of 35 – 40m2. These houses are fully fitted with a bathroom, a kitchen with a sink as well as two spacious bedrooms. The houses are fully electrified. The finishing include plaster inside and outside, and is painted inside and outside. These are achievable through the savings and contributions of the beneficiaries from their savings. The FEDUP alternative is continuing to reshape the policy and institutional landscape. But most importantly, it is the building of a strong woman’s federation that opens many other avenues for livelihoods and poverty alleviation.